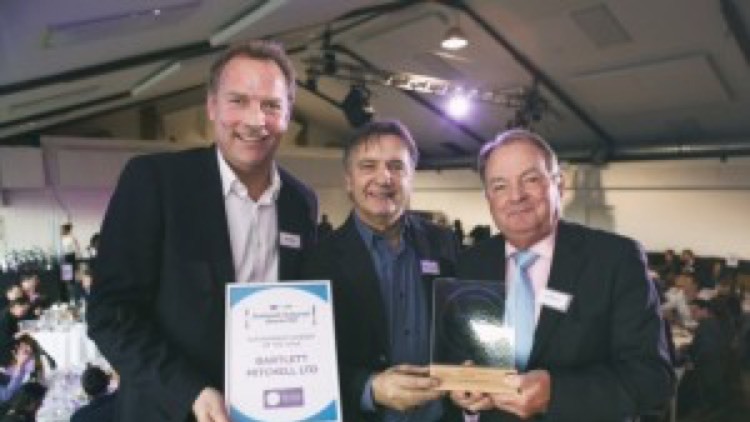 bartlett mitchell wins coveted Sustainability Award for second year running. Boutique caterer, Bartlett Mitchell, has won the coveted Sustainable Caterer of the Year Award for the second year running at this year’s Sustainable Restaurant Awards held in London. The awards, run by the SRA (Sustainable Restaurant Association), honour and celebrate those hospitality businesses planning for the future as well as catering for the present. “For us, sustainability is a philosophy that we run the business by – it’s a constant challenge to come up with new solutions and we’re very grateful to our team, clients and customers for helping us achieve what we have so far. In the past year, we have also focussed more on engaging with our customers and sharing with them our journey to greater sustainability”. Mark Linehan, Managing Director of the SRA said “Catering in over 85 sites, bartlett mitchell has the potential to make a real difference. This award demonstrates that the company is a genuine force for good for the 35,000 customers it serves daily. What’s especially impressive is bartlett mitchell’s commitment to keep looking for new ways of going even further and operating ever more sustainably”. Last year, Bartlett Mitchell became the first contract caterer to be awarded three-star sustainability status and has continued to build on these achievements every year.